- Global Perks can now be claimed together and stack with other perks. - There is no limit to the globals that can be purchased now. - When you have a certain perk active, you can claim another of similar type and it will "extend" the current one you have active. - This release requires a browser refresh, please do so if you haven't. Fixed Bug: Timer Reduction stacking was not working correctly. Update: Global Perks page now displays the expiry for each perk, instead of having to mouse over it. Fixed Bug: 2hr Global Perks were only charging the 1hr price. New: Added a small "button click" Bot Check to combat battles, this will also report to me bot failures as well. Fixed Bug: Bot Checks will now work correctly within the Arena. Update: Bot Checks for combat now display randomly, instead of a set # of battles. Fixed Bug: Updated code for bot check in combat. it should only show up every 50-150 battles. let me know if this is not the case. Fixed Bug: tracked down the issue with the bot checks not acknowledging successful bot checks, this should be working as intended now (only showing every 50-150 battles), this fix requires a refresh in the browser. New: Mithril Ring (71-100) pattern has been added to the Rings Questline as a reward. - Level 71 - 100 Content has been released. - All players who spent tokens on expanding their personal inventory will have 75% of the tokens spent refunded in their account! - Guild Inventory is still available for purchase in the store and hasn't changed. - When a node is frozen it doesn't matter how many players are at that node, the node will not start to deplete any further until the freezing expires. - You can freeze a node for an unlimited amount of time. - The higher the level of node, the more tokens it takes to "freeze it"
- You can freeze the node from the collection / working screen. - Now you can open the world map, click on a location you wish to travel too and you will travel to that location directly. - This allows for an easier user experience when travelling the world. - You can now click on the little lock when viewing an item to "Lock it"
- The item can be listed on the Market for sale while locked. - Purchasing Personal Inventory Slots have been removed from the Store. - Travel Food Buffs are now % based and STACK with Mount Travel Buffs. - The Castle Pattern has been added into the game. Fixed Bug: Pattern skills were still enforcing inventory limits. Fixed Bug: When opening chests with Treasure Hunting, item drops won't display an inventory full message anymore. Fixed Bug: You will not get inventory full errors now when purchasing from the NPC vendor. Update: Vicious Beaver pet distributed to everyone who met the promo threshold during the April-May Promo. New: Woolly Mammoth pet has been added to the Drakor Store for purchase. Fixed Bug: The tradeskill nodes at Heart of the Plains and Cliffside Lean-To areas now sell patterns. Update: 71-100 Smithing patterns were using Dark Cherry Handles instead of Mahogany Handles. Fixed Bug: Celestial Runes in Ancient Research are now correctly 71-100 and not 51-70. Update: Freezing nodes for Treasure Hunting has been increased to match guild node prices, as the essence of this trade is different than the others and should have an increased price. Fixed Bug: Halloween Quests are now active. Fixed Bug: Changed the Steel Bar pattern to now use Halloween related items instead of [Coal] which is used for the Winter Holiday. New: Aug-Sept Promo Winners were announced in the forum, congrats to the winners! 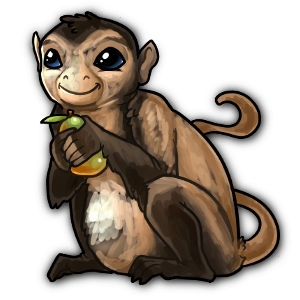 [Pet Naming Token]s and [Customize Token]s have been given out to everyone as well. - Everyone who met the threshold can enable the theme on their armory page. - This theme changes the styling of your Premium Armory Profile, colors, background image, etc. - All Feeding Materials on the Pets page are now clickable to see detailed info on the material. Fixed Bug: fixed an exploit when creating non-stacking items with CR buffs, where it would create the item but not use the materials. Fixed Bug: removed an inventory full message that showed up on every pattern create. - Has the ability to apply/activate "themes" on your Profiles as well to further customize the look and feel. - This feature will be added to the Drakor store in the near future, but I wanted a sub-set of players to test it for any bugs first. - Winners from June/July Promo will be drawn in the next day or two. Fixed Bug: There was an issue viewing the premium armory profiles when you were not logged into the game. Fixed Bug: It will not show "Hide Battle Strategy" button on other players profiles if you have the feature unlocked anymore. Daily Quest Rewards: You can now obtain Tradeskill specific Player Titles randomly from completing daily quests. The player titles do NOT show up in the manual until at least one player has unlocked the title. But you can see how many titles have been added, just not what they are. Fixed Bug: You will not receive a blank daily reward anymore as some have reported in the forums. Fixed Bug: There was an issue with dailies giving out player titles, this has been fixed. New: Winners for the June-July Token Promo have been selected and posted in the forums. Congrats to the Winners! - There are a variety of daily quests that you can randomly obtain. - The more daily quests you complete each day also increase the chances for better rewards. - Gold from Unlocking Chests is now affected by Gold Drop Buffs. - The long awaited Dec/Jan mount grand prize has been launched, the first Gold Drop bonus Mount. - It will be added to the store in a few days. Fixed Bug: when opening items/materials close to the bottom of the screen it will now place it higher up on the screen. Fixed Bug: Treasure Hunting Dailies can now not be "area-specific"
Fixed Bugs: Various bugs around the new daily quest system has been fixed. Fixed Bug: Dailies that require a material to be collected, the material now displays in it's relevant quality and is clickable for more info on it. Fixed Bug: Valais Blacknose Mount buffs now display correctly when opening the buff description. Daily Quest System: added a level selector for the daily quest system. now you can select from level 1 to your current trade level when selecting dailies. Fixed Bug: when trying to click on names in chat to bring up their avatar box. It was needing 3 clicks to display correctly. Added: Limited Pet names to 25 characters in Drakor Store, they are meant to be names and not sentences/phrases. Fixed Bug: a bug where opening some items would display them "scrolled up the screen" and not where you clicked to open the item details. Updated: Time stamps in chat removed the [ ] brackets, removed square brackets in collection/pattern combine results history, shrunk the font a bit. 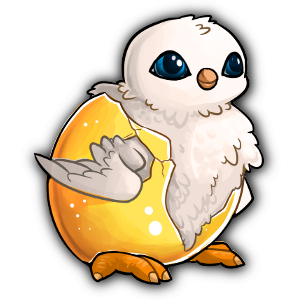 April - May Promo: Given out all [Customize Token]s and [Pet Naming Token]s for players who purchased in April to May that met the thresholds. Updated: Removed Rare level quality collections from daily quests. Fixed Bug: When selling to NPC from market listings, nails, other multiple combine pattern items sell for the correct value that matches the NPC vendors. 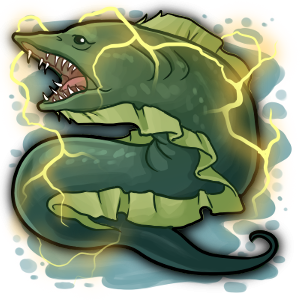 Added: Added Capuchin and Angry Eel Pets to the Drakor Store! - "Combat Drops" feature has been added into the game for the new event (sorry forgot to upload it yesterday). This feature will be used in other ways in the future. - You can now ignore "event combat drops" from the looking for creatures timer window. Click the "Ignore Event Items" to be able to filter which items to ignore. - Updated the Drakor Store code, it now loads much much faster. - Removed Market data from Event Items as they are not trade-able or sell-able anymore. Fixed Bug: SSL Certificate was causing issues with "Insecure" or not trusted in browsers. refreshed to new auto-renewing cert. Optimization: Enabled more compression on the server, should make page load faster and more responsive. Added: Now North/West/South/East buttons have title tags describing where they go. This should help screen readers that are on smaller screen resolutions. Fixed Bug: updated some styling for the forums so screenshot images, pasted long text won't show outside of the "body" of the thread/replies. I'm hoping this also fixes some of the weird overlay sizing issues that is happening sporadically on the forum. - April Fools : I hope everyone enjoyed the April Fools this year. It included a treat for everyone who gets fooled today as well :) so make sure to click the link. Added: Chat spamming filter added in, chat will now not allow you to repeatedly spam chat messages in quick succession. Added: New "How many own this?" column in the manual > Full Player Title Listing page. It helps show which titles are rare or not owned by any players. New: a "Combat Drops" feature has been added into the game for the new event (sorry forgot to upload it yesterday). This feature will be used in other ways in the future. - ALL Event Items are now account bound. You can not sell them on the market, trade them with other players or add them to your guild bank anymore. This is to help balance out World Events. - Any Items that are currently in a guild bank, can be removed. But not added back in. - I've added in a feature to be able to spawn special trade or combat nodes throughout the world that are specific to holidays. Fixed Bug: Fixed the Text Alignment for the Online Listing, it was centered by accident. Fixed Bug: You were able to see the holiday treasure hunting node from the Valentine's Day Event, this doesn't display anymore. Fixed Bug: Clicking on forum replies in chat now scrolls down to the specific post. Fixed Bug: Now when using Treasure Elixirs it doesn't display the disabled holiday TH from other events. Fixed Bug: 4th TH Node for current Winter Cleanup wasn't showing the level range selector. Fixed Bug: View World Map now opens in the overlay and not the blank page without the X button to close it. Fixed Bug: Fixed display styling for locked areas. New: Added a "Premium Items" category, items like [Drakor Store Token]s, [Pet Naming Token]s, [Dire Wolf Token], [Customize Token] and more are all going to be listed under "Premium Items" section in the Player Market/Trade Inventory/etc now. They are no longer linked to a Tradeskill. - On mobile I believe you can swipe up to close the window as well.